HEADS & ROTATORS There are 15 products. 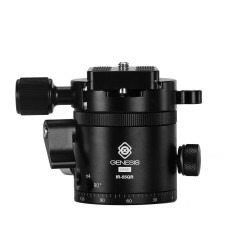 Genesis Base BH-40 is a high quality ballhead. Genesis Base BH-34 is a high quality ballhead. 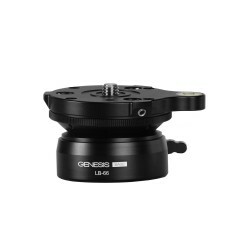 Genesis base low profile ball head with Acra-Swiss compatible quick release plate. 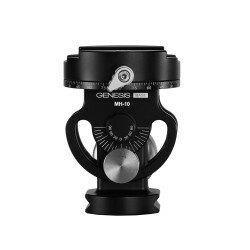 Genesis Base VF-6.0 is a fluid video head compatible with most tripods available on the market. Genesis Base LPH-30 is a light, low profile ballhead made from an aluminium-magnesium alloy. Genesis Base LPH-25 is a small, light, low profile ballhead made from an aluminium-magnesium alloy. Genesis Base PH-01 is a light and durable panoramic head. Genesis Base MH-20 is a monopod tilt head with a long handle helpful when shooting videos. 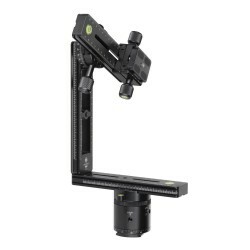 Genesis Base MH-10 is a monopod tilt head with panoramic rotation function. 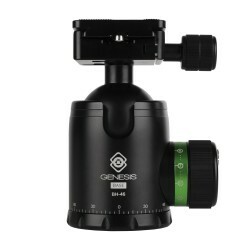 Genesis Base BH-46 is a high quality ballhead. 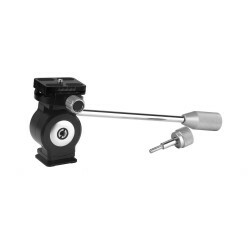 Genesis Base IR-64 is an indexing rotator. 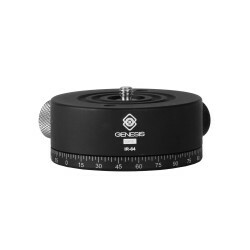 Genesis Base LB-66 is a leveling base designed for panoramic photography. 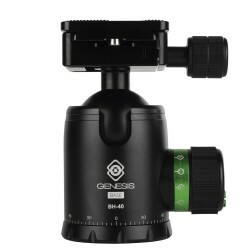 Genesis Base IR-55QR is an indexing rotator, which alows one to turn the camera by a set angle when making panoramas.